NEED A VAN? WE CAN HELP! Situated centrally on the Marston Trading Estate in Frome, Our workshop and tyre fitting facilities are equipped with the latest state of the art technologies, which forms part of our ongoing commitment to provide you with the latest most up to date services and car repairs. Whether a new tyre, routine vehicle service, an MOT or Van Sales, our Service Departments are available to help you. Throughout its working life your car is subject to plenty of wear and tear, needless to say it will require a little TLC from time to time. Every service is carried out by a dedicated technician, using the latest diagnostic equipment and high quality approved parts. If your car or van is fitted with air conditioning or climate control, you’ll know the comfort it can bring. However just like other components of your vehicle, your air conditioning also requires regular servicing to make sure it is clean and operating at optimum efficiency. All work is carried out by our fully trained vehicle technicians, using the latest workshop technology, tools and vehicle diagnostics equipment. Our team are ready to give you accurate and honest advice to help you get your car or van through its MOT as smoothly as possible. Brakes on your car or van are fundamental to driving safely, but as with many wear and tear items, deterioration in the condition of your brakes can happen gradually and without you noticing. You never know what's around the corner, so it’s sensible to have them checked. If you are looking for high quality used vans, we have a great selection of vans and commercial vans in stock. It couldn’t be easier to find your next van online. 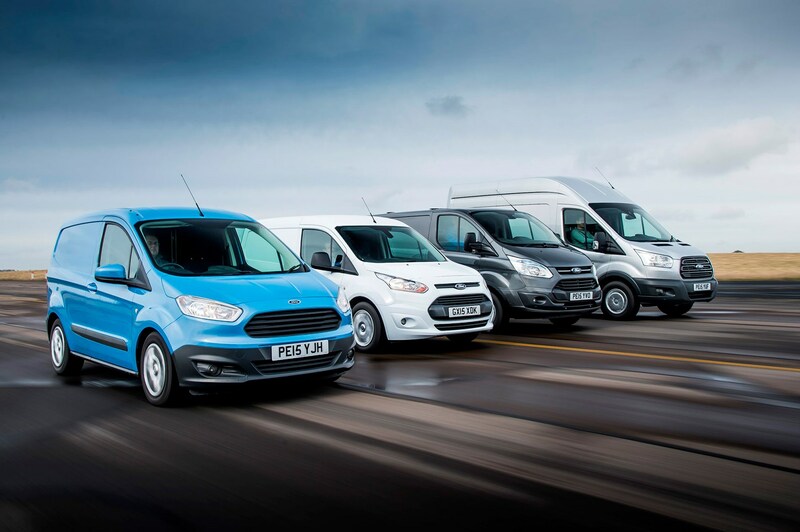 Navigate through our site to find vans and commercial vehicles from the industry’s leading brands. We stock a comprehensive range of new tyres from premium, to mid-range and budget tyres. Whatever your mileage and however you use your vehicle, we'll make an appropriate recommendation and provide a range of options so you can make an informed choice. All of our Used Vans Benefit from..
"In 20 years of driving I have never come across such an honest garage company. Was booked to have work done following an MOT failure at a large national chain, only to receive a phone call to say that in their opinion the work wasn't required! I can't recommend them highly enough. Thank you JF MOT!" "Went the extra mile and worked late on a Friday, having heard that I was intending to drive North to see friends. I was able to collect the car early the next morning without changing plans. Excellent customer service coupled with the usual honest and informative reception when collecting the car. Best garage in Somerset!" Disclaimer: JF MOT Centre makes every effort to ensure all prices and vehicle details on this website are correct. However, as these are used vans, the standard specification can sometimes differ from that shown. Please satisfy yourself that a vehicle has a specific feature that is important to you before purchasing, our sales staff will be happy to assist you. Prices, offers and details of vehicles are subject to change without notification. © Copyright 2016 JF MOT Ltd. All rights reserved.